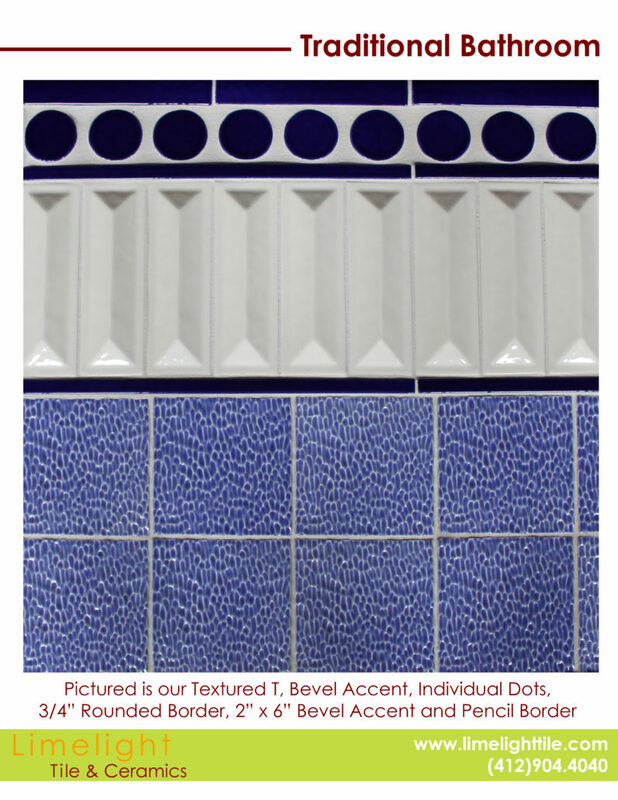 Regardless of your design style, our staff can assist you with selecting the ideal tile for your specific needs. Here at Limelight Tile & Ceramics, we design and manufacture custom ceramic tiles for our clients. We understand the desire for simply stunning designs and eye-catching pieces and everything in-between. Whether you are looking for a one-of-a-kind porcelain tile backsplash or more traditional tile for your bathroom and shower, let the team at Limelight Tile & Ceramics create tile for your home or business. Explore the options for traditional bathroom tile when you schedule a one-on-one consultation and discuss your particular tile needs. We only work by appointments because we want to understand each clients’ needs clearly, so we can design ceramic tile patterns specific based on each one’s taste. Give us a call right now at (412) 904-4040 to schedule a meeting with our team at a convenient time for you.